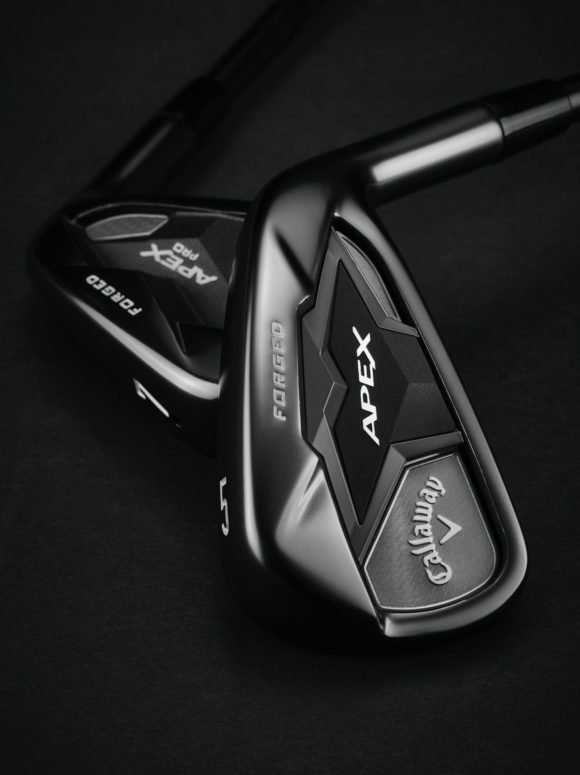 Callaway are calling their new Apex irons - which are replacing the incredibly popular Apex CF 16 irons that were first released at the tail end of 2015 - the ultimate forged player's distance iron. A bold claim but one they are confident they can back up. 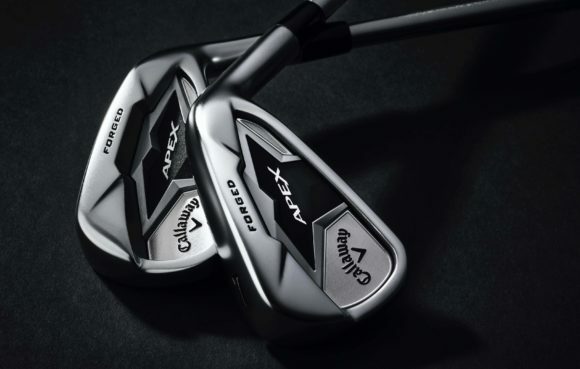 Engineered to offer amazing sound and feel through it premium craftsmanship, the Apex 19 is an exceptional new multi-piece construction that lives up to the Apex standard for performance and delivers innovative ball speed technology, and optimal ball flight and trajectory. The extremely soft feel comes from a forged 1025 mild carbon steel body, and for the first time ever Callaway has utilised its proprietary urethane microspheres in a forged iron. 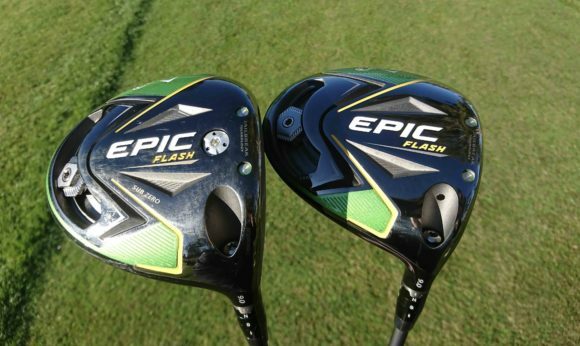 The forged carbon steel body provides the amazing Apex sound and feel that golfers love and associate with the Apex name, while the urethane microspheres incorporate over one million tiny air pockets that absorb unwanted vibration without slowing the face to enhance the feel and retain speed. Long, consistent distance in the long and mid irons comes from Callaway’s renowned 360 Face Cup, which promotes high ball speeds across the face. The Face Cup represents an absolute breakthrough for Apex ball speed. In the short irons, meanwhile, a spin control VFT Face has been implemented for aggressive shot-making in your scoring clubs. 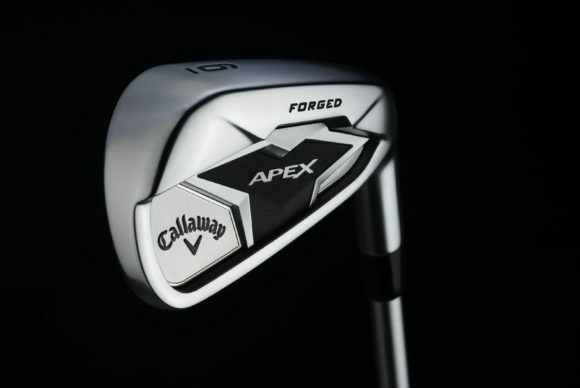 Callaway wholeheartedly believe that the Apex 19 sets a new distance standard for a forged iron. It isn’t simply about distance, however, with these irons that was a focus for the R&D gurus at Callaway. They are, after all, players' irons aimed at golfers who want control when attacking the flag. Advanced MIM’D Tungsten Weighing enhances control and scoring performance, allowing Callaway to precisely locate the CG position in each iron while maintaining the flexibility of the Face Cup for optimum launch and control. 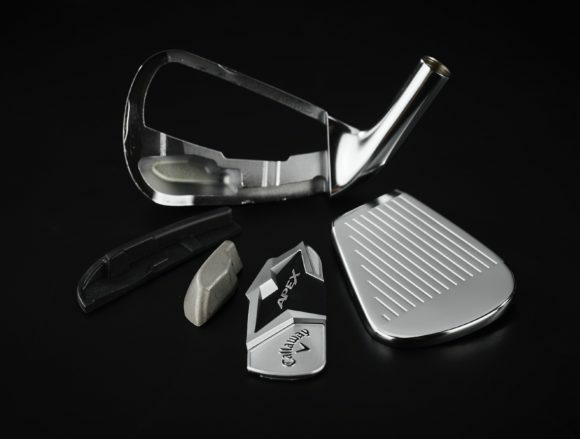 All of these innovative performance technologies are crafted into a beautiful progressive shaping, with a new platinum chrome finish, and premium components. 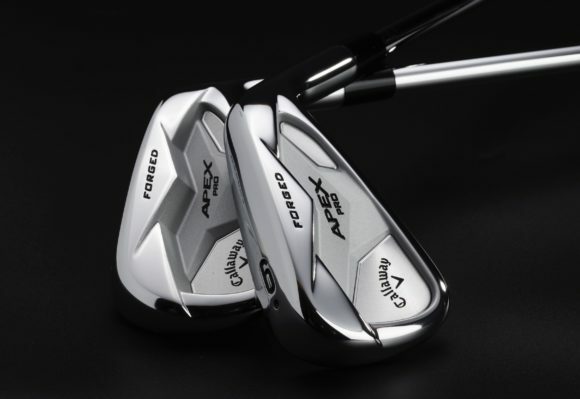 Complementing the Apex 19 is the new Apex Pro 19, a forged tour performance iron with advanced distance technologies. 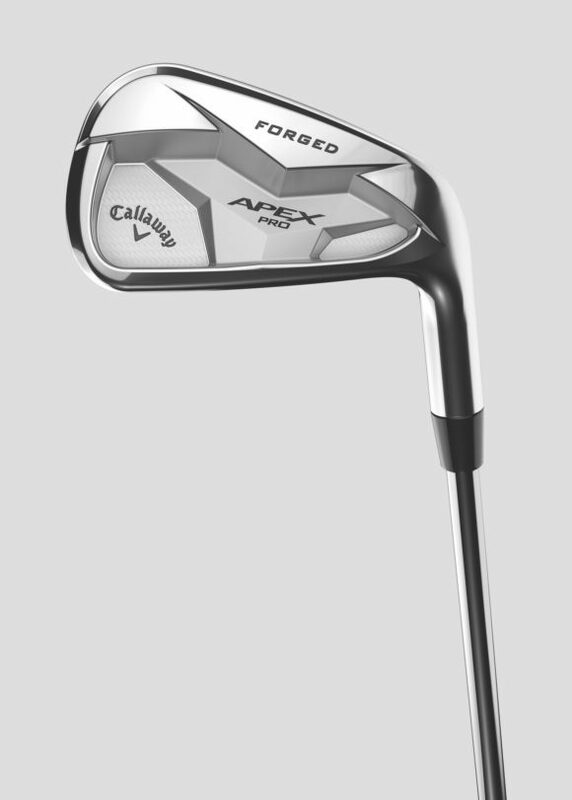 It is Callaway’s first-ever forged Tour performance iron with advanced distance technologies. This is the iron for better players who want all the benefits of a Tour-level design without sacrificing ball speed or distance. To create the Apex Pro 19, extensive input from the world’s best players was used. Their detailed feedback and exacting standards played a significant role in how Callaway developed a classic look, and a beautiful Tour shape that the best players want to see. 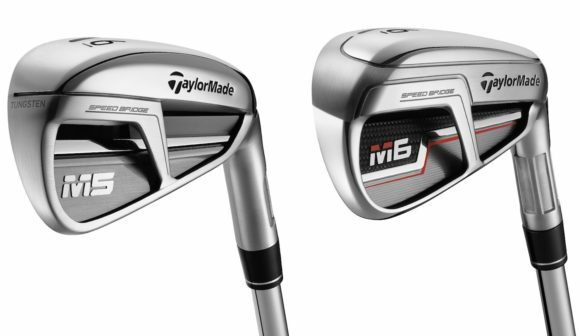 These irons have a more compact, cleaner shape and appearance down at address to help appeal to the better player and to further boost the level of control and workability. 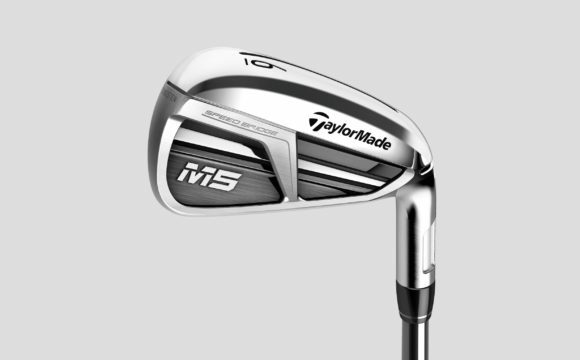 Like the standard model, extremely soft feel comes from a forged 1025 mild carbon steel body and proprietary urethane microspheres in the head, while the Face Cup tech on the long and mid irons and a spin control VFT Face in the short irons provide incredible speed and control respectively.